Some incredible photos and reports in this thread on the American Weather Forum ... in the upper peninsula of Michigan (the part between Lake Michigan and Lake Superior), four feet of snow were on the ground before this latest snowstorm hit with another two feet on average, it's a very strong low that will be followed by 50-60 mph winds. Those have not quite started yet in this region, being reported over Iowa and Illinois at present. This is snow country but the locals are saying it is the heaviest snow pack they have seen in a long time. There is currently a major blizzard underway in the USA, Upper Midwest / Plains region. CNN call it a "bomb cyclone". Airports between Denver and Fargo are seriously disrupted. There is currently a major blizzard underway in the USA, Upper Midwest / Plains region. CNN call it a "
They're always a bit dramatic with their headlines! 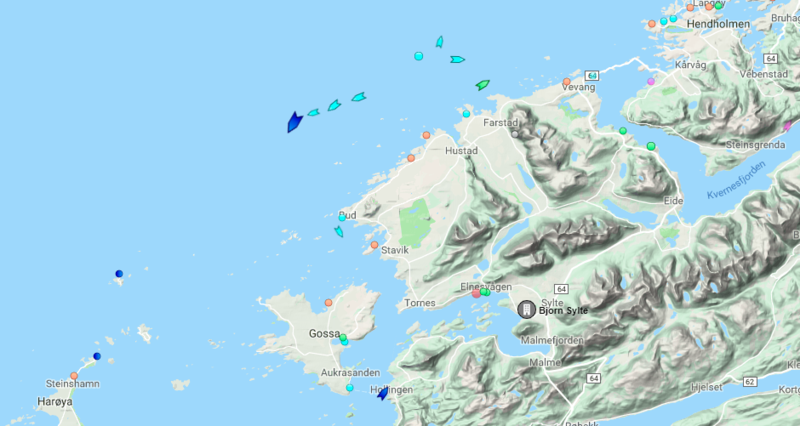 Cruise Ship in big trouble off the coast of Norway in big seas and winds gusting 120 - 130 km/h. Last edited by Meteorite58; 23-03-2019 at 20:56. Despite the mild weather forecast for next week, arctic air is massing to move south and by about Wed night into Thursday Iceland may be seeing snowstorm conditions. This very cold air will be affecting weather in Britain and central Europe a bit more directly than Ireland, by next weekend and into early April. The pattern looks quite cold for much of the outlook period (beyond Friday 29th). Craziest waterspout I have ever seen. A lot of shear going on above it. Isn't this the basic premise of Captain Planet? Really severe flooding in Iran. At least 18 people have died, maybe even some of the people in this video. It's really bad. Some incredible video footage of the disaster in Iran, the sheer power of the massive flash floods, it is like a tsunami in parts. There was large hail with the weather event that caused the flooding in Shiraz, Iran. Some parts of Switzerland had heavy snowfalls over the past week. A lot of flooding in Crete. That is some work to protect the vines.